the store people was nice and helpful and polite. 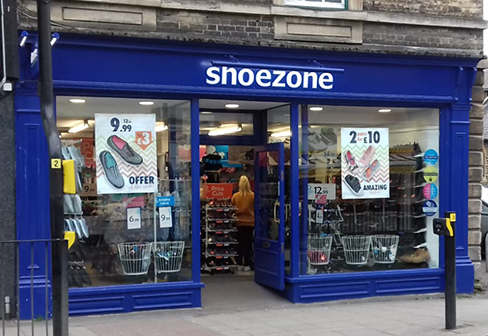 i like going too shoezone has that is our nearest branch where we live. Went into the sleaford store today to pick up my new shoes. i had phoned the store and they went out of their way to order the shoes from another store.they kept them until i was able to pick up them up.i am so happy with my new shoes.the ladies in the store were lovely. Thank you to i think the ladies name is Michelle who was a trooper in hunting them down and to Laura.will be using the store again in the future.